Don’t see your concern? Click the “contact” button at the top of the page and a member of the Care Team will reach out to assist you with your questions and/or concerns. If you or someone you know is in need of assistance please reach out to the Care Team. This is a resource hub website. If you are in an emergency or need immediate help, please contact UFPD by calling 911. 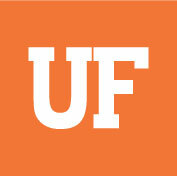 For non-emergencies, you can contact UFPD at 352-392-1111 and U Matter We Care at umatter@ufl.edu.